dang, driving the Avalon around doesnt make the 335 feel like a Ferrari? The Avalon actually has some pep believe it or not. It's got a 210 hp 3 liter v6...it's just when you turn it.. I dunno, I think I get tired of everything. I'm selling my house too. Completely tired of it. I think I have severe ADD. Last edited by zeroday; 02-25-2008 at 10:09 PM. Damn dude! It's too believe you'd get bored of a Carrera GT!! I'm the same way, since 1998 I've bought 6 new vehicles. 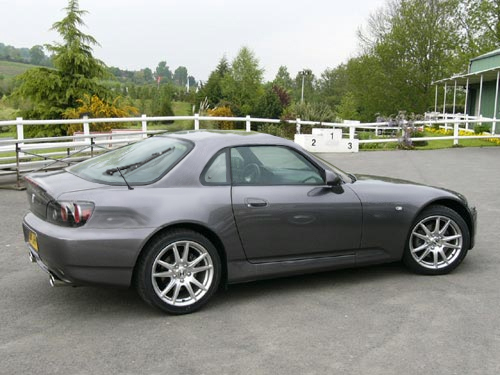 I'm hoping that due to me not driving much and the S2000 being an awful lot of fun that I may actually keep it for a while. ^ your color is girly. btw, does your rear bumper looks like the color is off in certain lighting? Not that I care any more, but just curious to know. It seemed to be most apparent in the Suzuka. Here's mine w/ my winter wheels about a month ago. Great car. 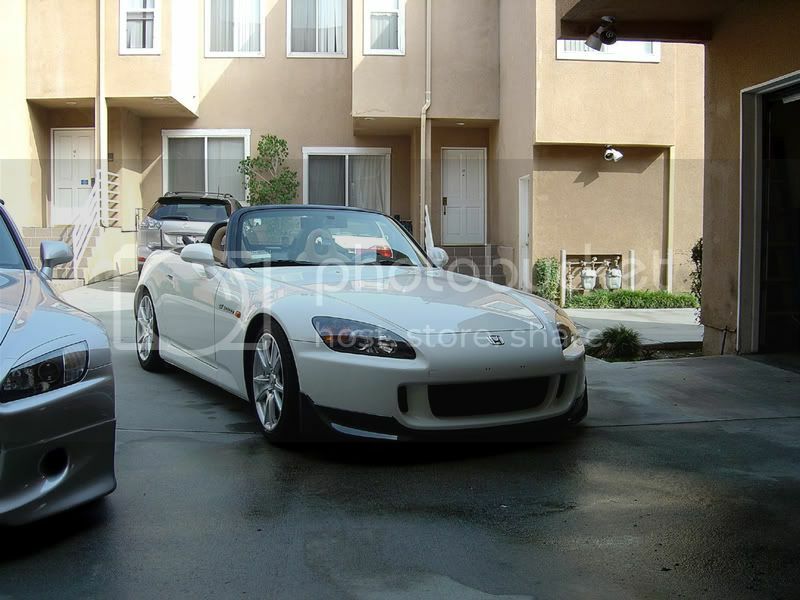 The only problem with this sucker is the oil consumption..which seems to affect mostly the AP1s. Enjoy your Suzuka Sellout. Is that a Shigeru Uehara-signed radio cover? lol....wish I could have gotten one. Good eye, yes it is! It's from s2k Homecoming last year tehehehe I got my spark plug cover signed too!!! ^^ That's interesting, you have the black/red door panels with black seats. Very nice! 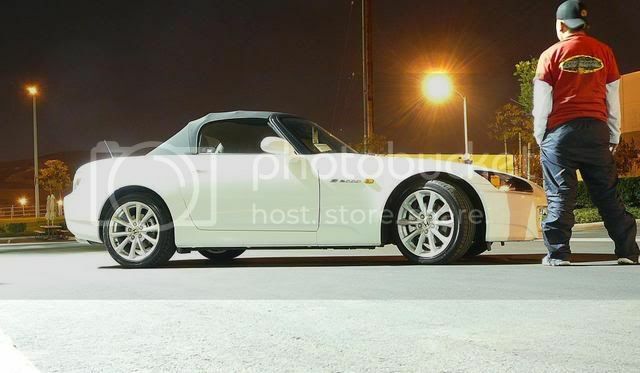 I thought we had more S2k owners on AZ.... everyone should post pics here! 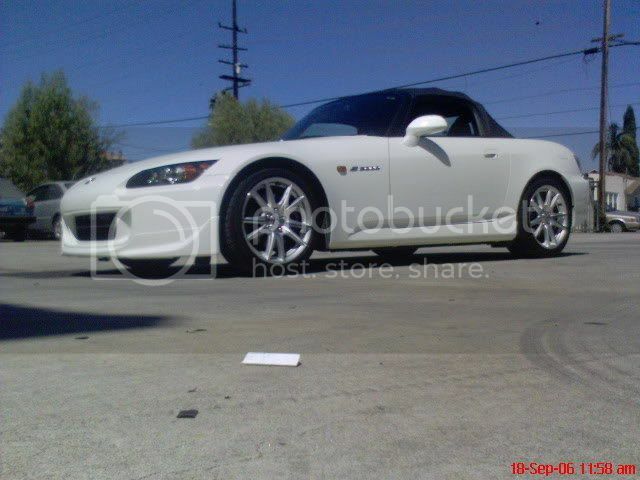 Whats with the S2k owners all having those round shift knobs. Voodoo? Im just so use to leather knobs. Yessir, that's the voodoo knob. I like it more than stock - the sphere shape feels perfect in my hand! ...did you clearcoat the signature? Has it faded or began to wear away? Never realized there were many owners on this forum...nice. 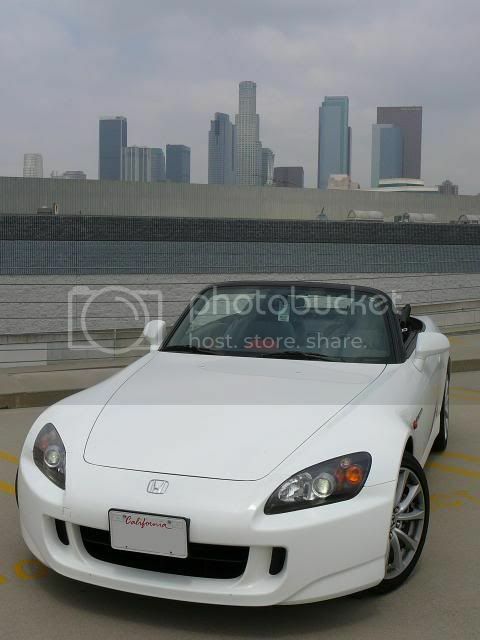 Here's my S2K since it seems people are tossing them up. Its all stock, but I think one of the best combos: GPW w/ Black/Red interior. Thing was pain to find...the first one I found had a spoiler, lip, and strakes. I said no...and almost gave into a LBP, but glad I didn't cause a couple days later a plain GPW showed up. Last edited by BuddySol; 02-25-2008 at 11:40 PM. ^ Yep i was just saying that yesterday to someone. Im shocked this design has been out since MY2000. See NSX or last gen integra. they dont change when it sells so well. I clearcoated the spark plug cover before installing it back in the engine bay. I haven't done the radio cover yet though - good call. I think if anything, that's the piece that gets more wear & tear from all the opening/closing everyday. I do try to push the cover from the sides haha that signature is priceless! 300 a month for insurance? 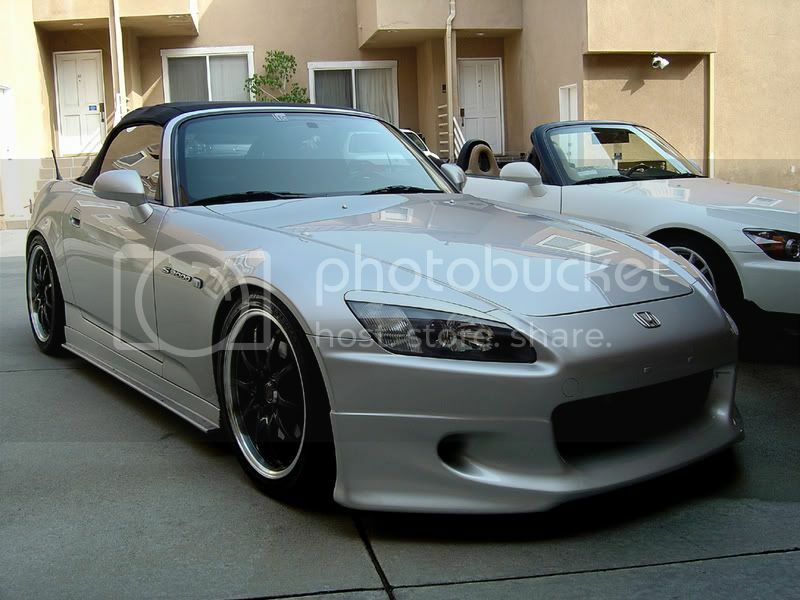 Thats insane..
As for S2k insurance, its another $400 a year for me. Big deal. Ken, did you find one yet? Found a few. Won't have time until this weekend to check them out though. I know you're new here, and you have a nice 300zx....but dude, it has t-tops. So, does that mean you're like a 1/4 fairy? I have a sunroof, I guess I'm 1/8 fairy? That's the XGA photochop from the april fools day article on S2Ki, eh ?? Don't be so generous Sac. don't be so hard on the t-tops sac!! I like t-tops. I was just making a point. that skank whore is hot. When are we going to know what they are going to offer for 2009?